Having a healthy and beautiful smile can be made easier with sedation dentistry. 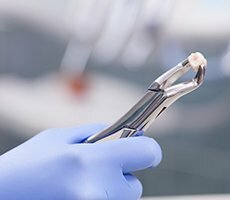 Sedation dentistry is a great option for people who have a lot of anxiety about dental treatment, have had a bad experience in the past or simply hate the sounds in the dental office. Dr. Chris Robertson and Dr. Amber Robertson want to make your visit to the dentist as relaxing as comfortable as possible. Chattanooga Dental Studio offers sedation dentistry to patients in the Chattanooga area so that they can receive the care and beautiful smile they need and want. 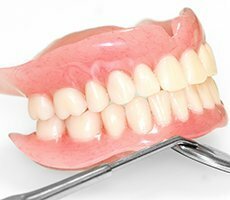 Sedation dentistry, also known as sleep dentistry, allows patients to receive the dental work they desire while being more relaxed due to options like Nitrous Oxide laughing gas or oral conscious sedation. Patients may feel more calm and relaxed and with oral conscious sedation many patients won’t remember anything from their procedure because they are in a dream like state. During sedation multiple procedures can be performed making the experience easier for you, the patient, as it reduces the amount of appointments needed for anxious patients. 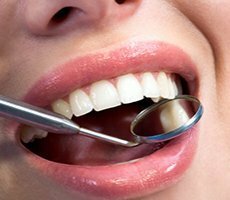 If you’ve had a bad experience in the past during dental work, need a lot of complex work completed and don’t want to come in for multiple appointments, hate the sounds of dental tools, or have a lot of anxiety about going to the dentist then sedation dentistry may be a great option for you! 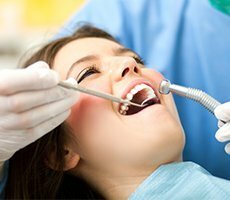 All patients will need a full exam by the doctor to determine their treatment needs and review their medical history to make sure they are a good candidate, but for most people, sedation dentistry is a great way to get their oral health needs taken care of in a calm, relaxing appointment. The doctor will give you a pill to take about an hour before your procedure is to begin. You will begin to feel very drowsy and will be taken to a treatment room where you will be given a warm blanket, neck pillow, and your vital signs will be monitored. Once you are completely relaxed, the doctor and Chattanooga Dental Studio team will take care of your dental treatment needs. You will remain relaxed and unaware of the dental work being completed but will be able to respond as if you were in a dream state. For most people this lasts 5-6 hours. Your companion will drive you home once your treatment needs are completed and you will awake refreshed later that day. Most people have no memory of the dental appointment at all! The most appealing part of sedation dentistry for most people is the relaxed, anxiety free time in the dental office. Confidence and a healthy smile affect people’s quality of life in a variety of ways. If sensitivity or anxiety are preventing you from achieving the confidence and healthy smile you deserve then contact Chattanooga Dental Studio today. Sedation can allow Dr. Chris Robertson, Dr. Amber Robertson, and the excellent clinical team to more easily complete your dental treatment because a calm and relaxed patient is much easier to treat than an anxious patient! Call us today. Your treatment needs will be assessed first with a comprehensive exam and review of your medical history. After developing a plan that fits your needs and helps you achieve a healthy smile, treatment dates can be scheduled at a time that is convenient for you.